Oregon Office of Rural Health’s recognition spotlights the dedication of people making a major impact on rural health care in Oregon. Oct. 26, 2017 (Hood River, Ore.) — One Community Health (OCH) is proud to announce that Clinical Operations Director Lynne Frost has just received the prestigious “2017 Oregon Rural Health Hero” Award. Just after receiving her award, Lynne Frost, “2017 Oregon Rural Health Hero,” poses with Scott Ekblad, director of the Oregon Office of Rural Health and Robert Duehmig, deputy director of the Oregon Office of Rural Health. 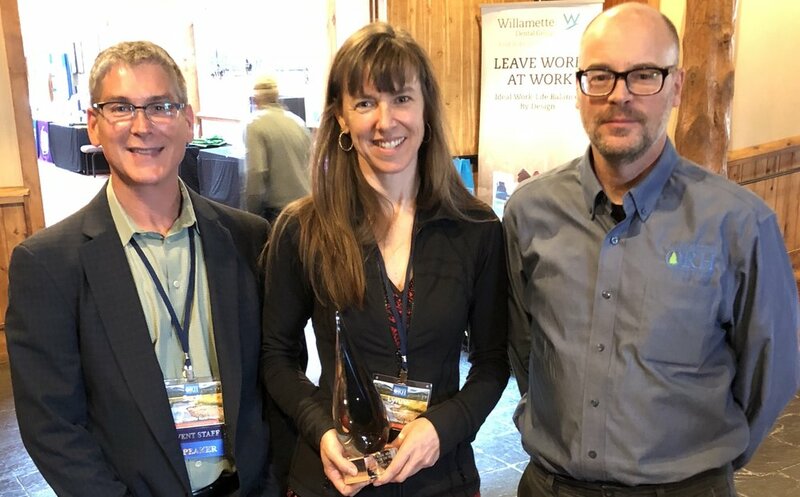 The Oregon Office of Rural Health presented Frost with the award during the 34th Annual Oregon Rural Health Conference at Sunriver Resort, Oct. 18-20. 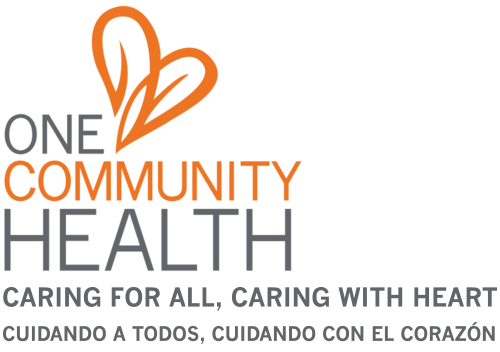 The recognition highlights an outstanding person, program or organization that has improved the quality and availability of health care in rural communities. At the award ceremony, about 200 attendees watched a professional video testifying to Frost's impact and the work of her OCH team. She was then handed the impressive glass award in front of the crowd, most of whom were medical professionals specializing in Oregon’s rural health. "So many nice words were said that I was a mild wreck when it came time to go to the stage and accept the award," Frost says. "I told the crowd there was nothing I've done that I've accomplished alone. So in effect, this award was something I received on behalf of the team." The idea to nominate Frost came from a number of OCH staff members who had been told about the award from a former employee. They felt Frost’s passion for rural health, her success in executing strategies and hitting vital goals, her advocacy for population health, and her achievements in launching and overseeing the School-Based Health Center at Hood River Valley High School fit the nomination criteria—and they were right. Frost holds a doctorate in nursing practice from the University of Portland. Prior to joining OCH three years ago, she worked in pediatrics for 23 years, starting as a nursing assistant and working up to become a certified pediatric nurse practitioner. Staff members wrote recommendations and testimonials about Frost’s unique accomplishments, bearing witness to her commitment to population health, policy, prevention, alleviating disparities and leadership excellence. According to Dave Edwards, OCH’s CEO, the award is all about improving quality and availability of health services in rural areas—and it serves to reinforce these messages. For more details about the award or Frost’s notable efforts, please see the award video and official statement of recognition.